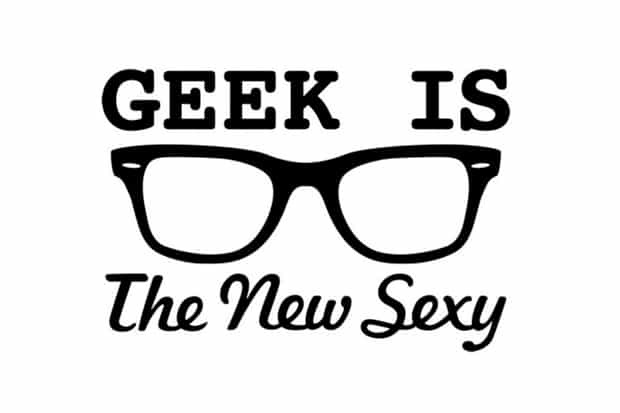 1 types of geek | This Blog Rules | Why go elsewhere? Geeks are usually made fun of in popular culture. Other times, they are portrayed as funny and interesting individuals with rich personality traits and brainy qualities that make them quite charming. Sometimes these qualities are presented as compensating for something that lacks in other ways. These brainy qualities may only be a bonus. The traits themselves, as you’ll see (or maybe noticed it yourself already), are extremely varied and make for different types of geek, more varied than you could imagine a single label to contain. The only constant is how it always tends to be either about the clueless and socially awkward geek versus the knowledgeable and fun one. We obviously tend to incline towards the latter, and this post will hopefully open your eyes to how wonderful it can be to have at least one of these 5 types of geek friends. You surely have at least one friend who reads updates on every move Apple and Google make and who looks at new gadgets released like a thirsty man in the desert looks to a pail of water. The same kind of friend will give unsolicited advice on every app or function you’re not yet using on your smartphone. He or she may tell you all about what new technical thing you should definitely buy. Sure, this friend can be a little tiring if you’re not into gadgets yourself. Think about it this way: you have a free consultation whenever you really are looking to buy a new piece of IT. This one is probably one of the most ridiculed types of geek in today’s popular culture. But if you have at least one gamer geek friend, you’ll see that not all negative stereotypes about them are true. First of all , they can be useful and imaginative and fun whenever you want to organize a fun evening with friends completely offline and away from any computer. Just tell your gamer geek buddy that you want to organize a D&D party and you’ll see just how fun he or she will make it. This one is that friend who is all about Star Wars / Game of Thrones / Star Trek / Harry Potter / Lord of the Rings or any other such franchise. They are basically an encyclopedia of knowledge on the matter, and collect all sorts of fun stuff related to the universe they fell in love with. Sometimes, the less gifted of them can be a little mindless perhaps. In other cases, they absorb the stories in that universe in a very wise and perceptive way. This not only makes them better people but also a beacon of inspiration for everyone around them. Also, they may take you to fun events like cosplay conventions or reenactment festivals. If you know someone who never earns less than an A minus in chemistry, biology or physics, that’s your science geek friend right there. This buddy can have much coveted practical qualities: they can teach you how to survive or DIY while camping, they can make replacements for a lot of substances or tools you need in your house, as well as help you pass those subjects as well in school if you’re less gifted. Besides, if they get started on an interesting story from nature or history or whatever encyclopedia-scale thing they’re into lately, you’ll never want them to stop. It’s no wonder these peeps are some of the most brilliant types of geek in the world. Whenever in doubt about which music to play at a certain event or how to impress a certain someone, this is the friend to call. Not only will they give you expert advice. They also know interesting trivia about lots of artists and have a million stories to tell. As a bonus, they sometimes play an instrument of their own and do it quite well. You can’t really get bored with them, and they’ll encourage you to feel and dream just like a manic pixie would. The list could go on with other interesting and fun types of geek the world has to offer, but space limitations deem this short list to be enough for the moment. We hope the post has inspired you to appreciate your lovely geek friends more and to search a bit for the geek within yourself.